One of the advantages of being a food blogger is that friends often give delicious food-related gifts, and the most wonderful version of this is getting out-of-the-blue home-made giftage. 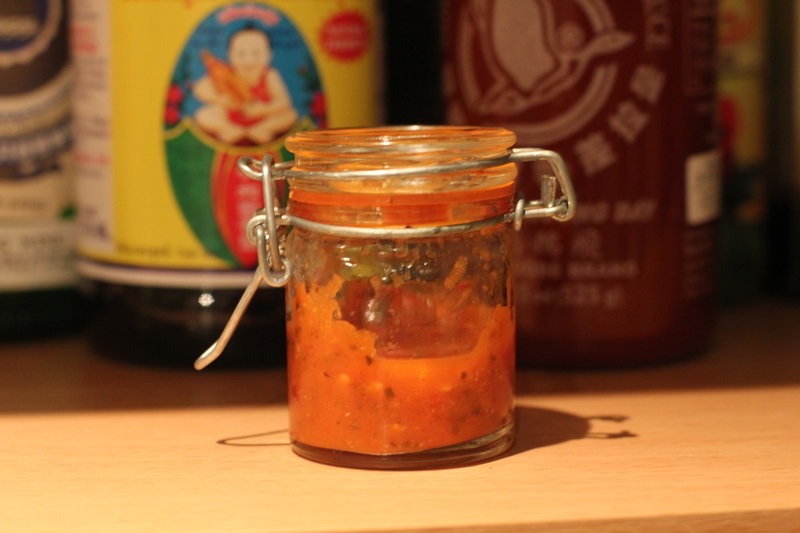 The other day I came into my office to find a tiny, beautiful jar of homemade hot sauce made by my multi-talented colleague Ukelele Lady. 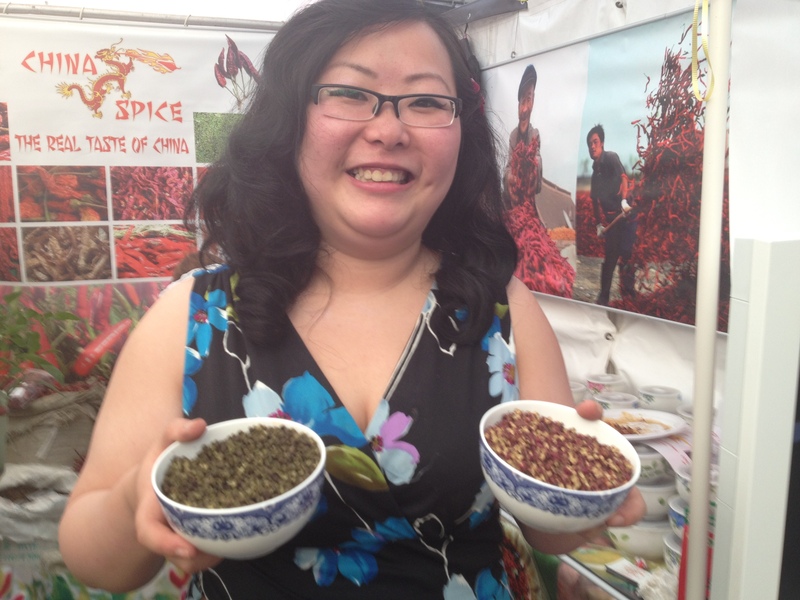 She’s a huge chili head and has taken to making hot sauces as a bit of a cottage industry. This one is called Ch-ch-ch-cherry bomb and is of course made with cherry bomb chilies. They’re not the hottest but they’ve got a lovely sweet flavour. I couldn’t resist sticking a pinky into the jar and tasting it, and I immediately thought the sweetness would go well with the char of a steak. So I made something very simple. I wok-seared some thin steaks, then used the beef fat in the work to stir-fry bok choy and red pepper with garlic, soy sauce and a touch of Shaoxing wine. I got both the meat and the bok choi nicely charred with wok hei, then added a good dollop of ch-ch-ch-cherry bomb. It was delicious and made us extremely happy to have such generous and warm-hearted friends. Sharing the chili love – hurrah! V gave me some chili plants for my last birthday, which she nurtured from seeds and eventually relocated to my garden. The whole enterprise has caused great hilarity and consternation, as Mr Lemur and I try to keep the damn things alive long enough to fruit. We’ve now brought them in for the winter and have a living room full of giant, unruly bushes which might or might not provide us with chilies one day. However, scarcely remarked in the great chili experiment is V’s rau ram plant which arrived in the same birthday present and is now going great guns. While we tried unsuccessfully to provide sunshine for the chilies, the rau ram was drinking up our wet and disappointing summer. 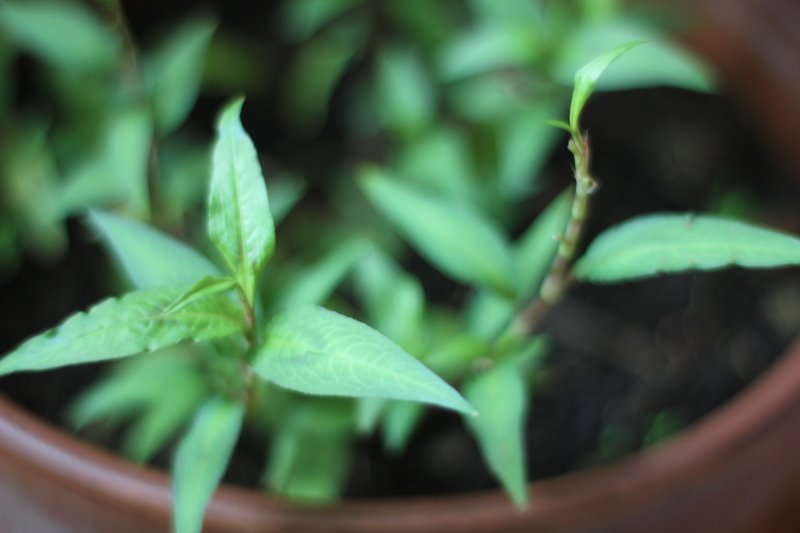 Native to the swampier parts of Southeast Asia, rau ram or Vietnamese coriander is endlessly thirsty and apparently thrives on benign neglect. I only noticed how much it had grown when I brought it indoors. 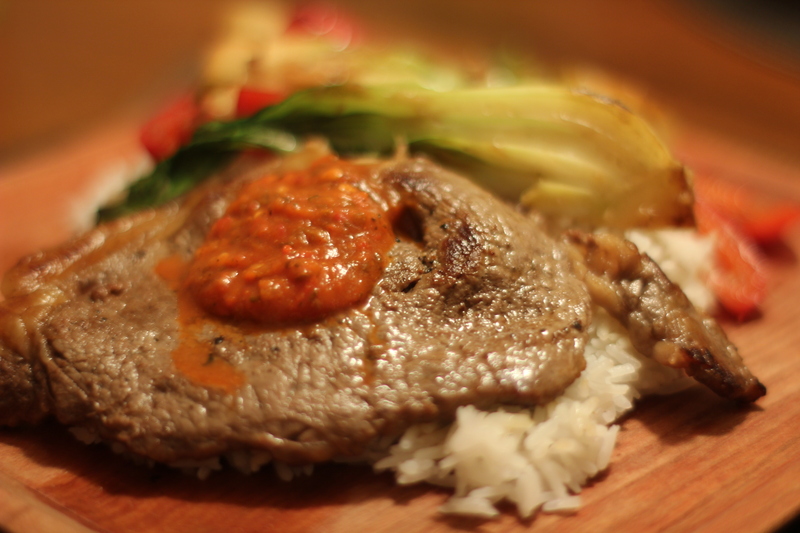 It was time for some soulful Vietnamese braised meat. The cilantro-y flavour of rau ram is often used in salads, or as one of the fresh herbs topping pho, but I thought it would be nice as part of a more autumnal dish. I bought some shoulder pork from my lovely local butcher and decided to braise it in an aromatic light broth with star anise, cinnamon and cumin. 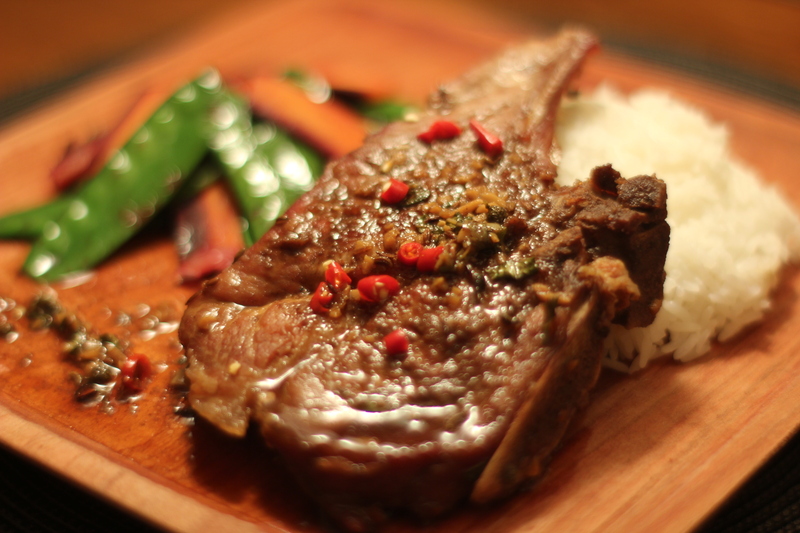 I once made a Luke Nguyen braise that used Sichuan peppercorns alongside more traditional Vietnamese flavours and I borrowed that idea to give a little kick to this aromatic dish. 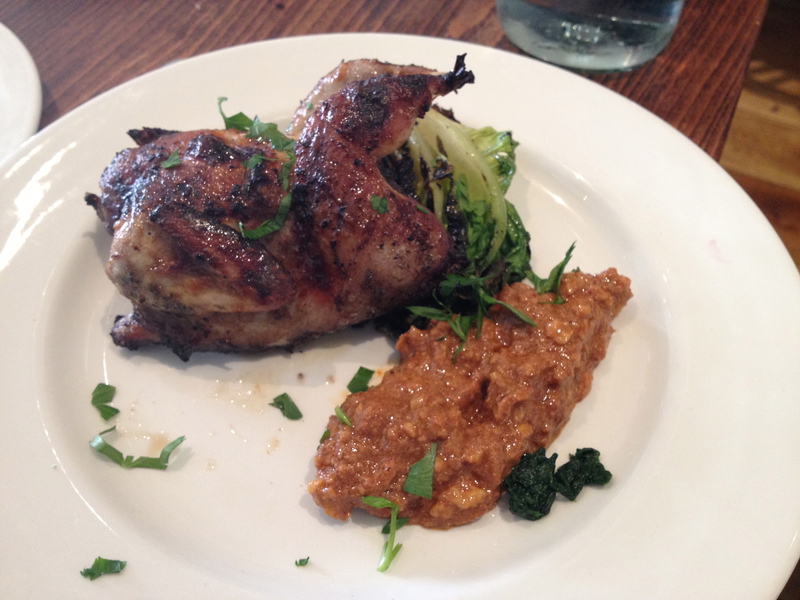 It came out rather nicely, with a pleasing slurry of spices. You could crush them if you wanted a more refined texture (or do as Nguyen does and isolate them in a muslin bag) but I rather wanted the homeliness of leaving them whole. Begin by toasting the spices (cumin, fennel, star anise, Sichuan peppercorns, cloves) one at a time in a cast-iron skillet until fragrant. Set aside. 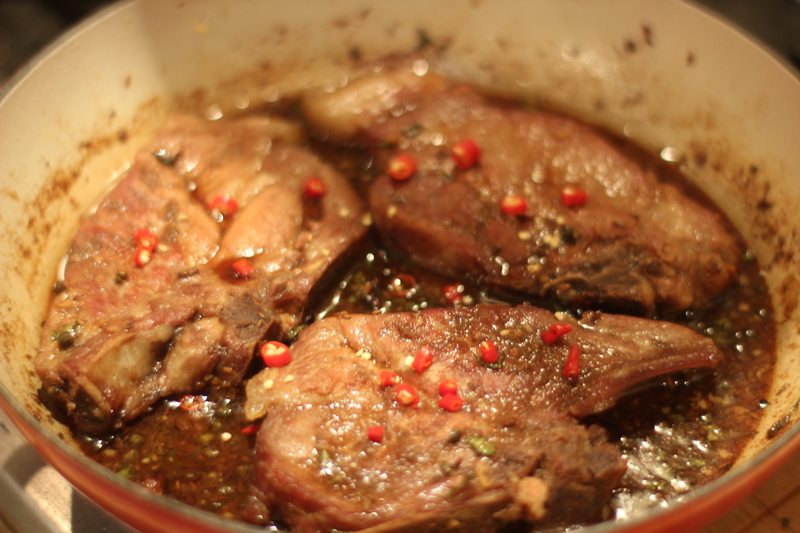 Brown the pork chops in a large heavy-bottomed skillet in vegetable oil and then add chopped garlic. 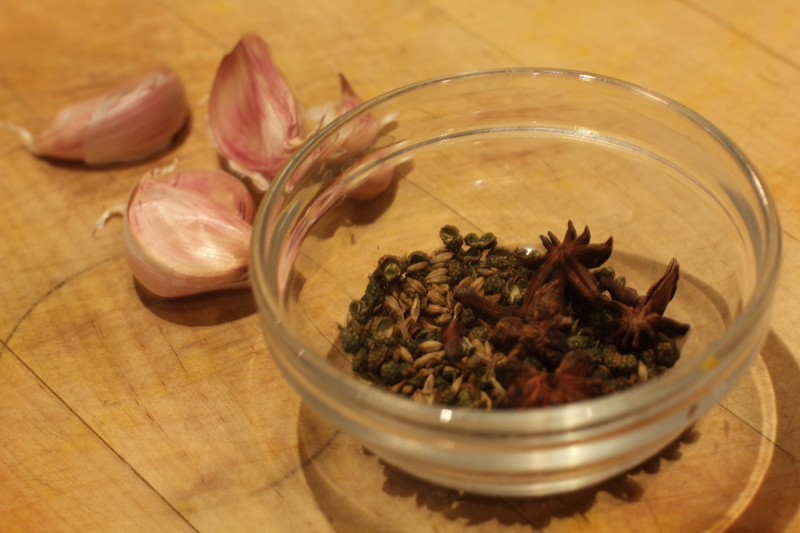 When garlic begins to colour, add a decent whack of fish sauce, dark soy and enough water to semi-cover the meat. Add whole spices, cinnamon and sugar and stir. Bring to the boil and simmer, covered, for 30 minutes, turning occasionally. After 15 minutes, add thinly-sliced rau ram. After a half hour or so, the sauce should be reduced somewhat: still thin but nicely brown and beginning to be sticky. Garnish with chopped chilies (or more rau ram if you’d rather it not be too spicy) and serve with quickly wok-tossed vegetables. 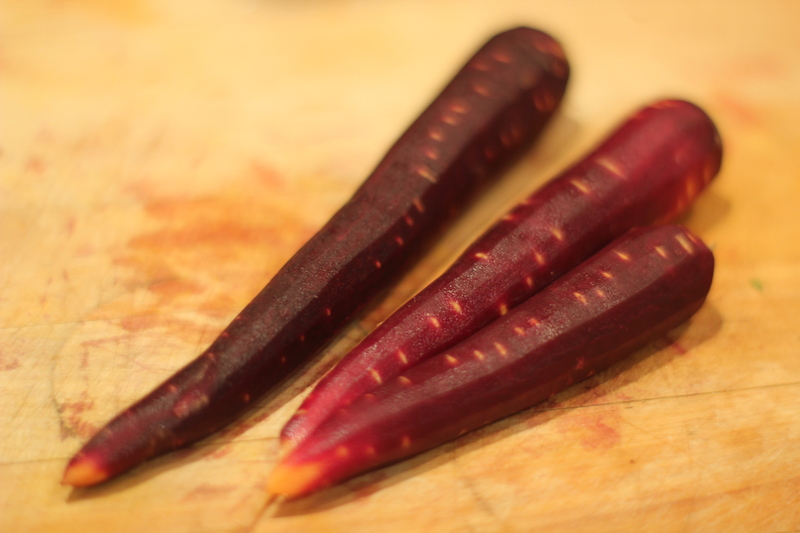 I made these amazing purple carrots with mange-touts.